​I have sketched and painted from an early age, first in water colour and then graduating to oils - which is now my preferred medium. I have had no formal art training but since moving to New Zealand I have attended workshops, been part of study groups and studied work by NZ and overseas artists which has all aided me in the exploration of techniques and the effects that can be achieved with oil paint. ​I enjoy being versatile in my approach to the subjects I paint and don’t restrict myself to any particular genre. 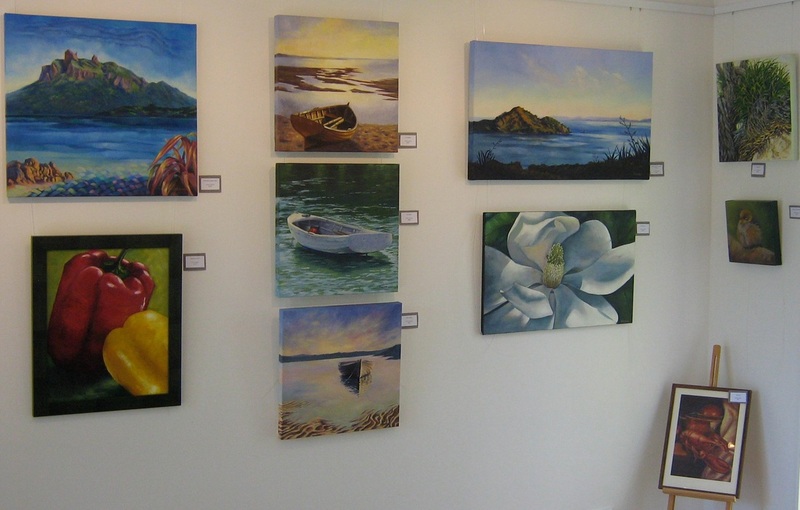 Living in Whangarei Heads, with its beautiful scenery and environment, was the inspiration for starting my own studio/gallery in 2005 on our family property at Parua Bay as a way of sharing my perspective of the area through my art. Visitors to Whangarei Heads will see the landscapes, beaches and bush, but may miss the small ‘snapshots’ that add to the experience of living here. I use these moments in time to explore and interpret the quality of light, colour and atmosphere to evoke an emotional response from the viewer. My gallery is open by appointment and offers affordable original oil paintings as well as a range of reproduction prints on canvas, archival paper and greeting cards. All work is for sale.